One of today’s bright young stars has found her social media partner in LG G6, the multi-awarded flagship smartphone of global technology innovator LG Electronics. 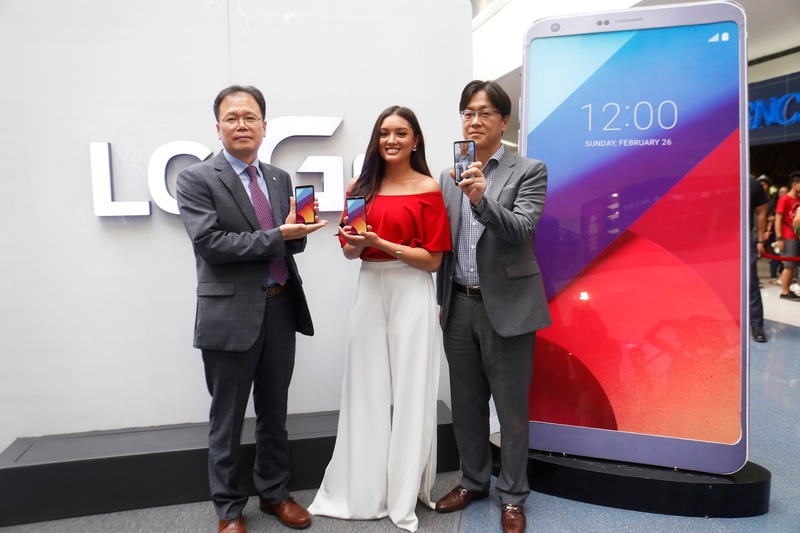 As the newest brand ambassador of LG Mobile Philippines, model and all-around personality Lauren Reid shares her experience so far with the G6, which projects itself as the ideal social media smartphone for any digitally-savvy user. “I love how big, clear and vibrant the display is, and, at the same time, with a body that is small and sleek enough to fit in my hand. The Square Camera really does the trick for my Instagram posts, and the dual Square Cam lets me make my photos more creative and also lets me multitask with two screens,” she commended. Hailed ‘Best Smartphone’ in Mobile World Congress 2017, the G6 comes with a 5.7-inch QHD+ FullVision display, and for the first time ever in a smartphone, a highly functional 18:9 screen-to-body ratio. Compared to conventional 16:9 aspect ratio displays, the 18:9 format offers more immersive viewing when in full screen and even more opportunities when split into two square-shaped screens. Lauren can basically take her adventures anywhere and document them seamlessly especially since the G6 is certified with IP68 protection standard with its water and dust resistance. It can be immersed in up to 1.5 meters of water for as long as 30 minutes, and users can worry less about accidental drops and other rough environments during everyday use. For greater durability against overheating, the G6 is also designed with a metal frame and heat pipe to dissolve heat. The powerful device has passed 14 different military-standard 810G tests involving rain, fog, humidity and temperature, among others. As the newest ‘it girl’ on the block, Lauren impeccably embodies LG’s fun, relatable personality and world-class image. “I’m honored to be representing LG’s mobile product line. Its flagship smartphones have been praised by so many tech experts worldwide and based on my experience with the G6 so far, I have to say it truly is my ideal social media phone,” she concluded. LG G6 is now available in the Philippines in Astro Black, Ice Platinum and Mystic White retailing for Php37,990.